Pulsatilla is a very common remedy to see in pregnancy, labour and postpartum. If a remedy works well for you in pregnancy – i.e. it addresses your morning sickness, then it is highly likely that will also be useful for induction, to augment labour or to support any breastfeeding challenges. Pulsatilla is a remedy that appears to follow a woman from pregnancy to postpartum and often it will be the first remedy to consider should the baby need a remedy. morning sickness that changes day by day – different triggers, different times, different reactions to food. indecisiveness is reflected in the baby assuming many positions during pregnancy and often goes breech, labour that starts and stops and is experienced all through the body – contractions in legs, bum, back, abdomen, unable to commit to the labour taking Pulsatilla will create a regular rhythm to the labour and is the gesture of commitment that is needed to progress. very changeable milk supply and supply that is easily effected by food, company, upset, discharges etc. 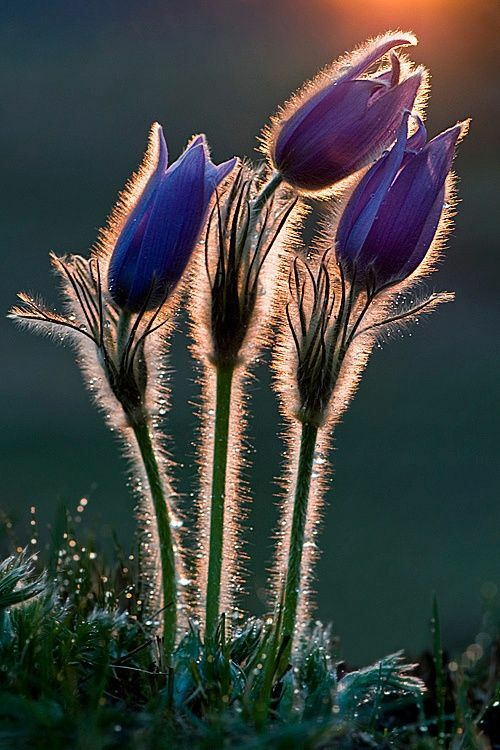 Pulsatilla is a plant remedy, made of the wind flower – it blooms in the spring and softly blows in the wind – a way to remember its soft, changeable nature and being a plant its reaction to and awareness of its environment. use Pulsatilla for babies if you have a baby with separation anxiety – by that I mean if you cannot walk out of a room without the baby weeping. This is such a useful remedy for siblings that may be feeling jealous and becoming very weepy and whiny as a means of expressing their feelings. Pulsatilla will reassure them of their stability in the family. Pulsatilla is a remedy that makes a suggestion to a baby to turn head down. That is actually how the remedy works. It gently suggests that anatomically it is easier to make an entrance in a head down, anterior position, this is just how most babies fit best through the pelvis. Variations of this position usually create a period of waiting in labour as the baby makes its way to an optimal fit. The reason homeopathy is so incredibly safe to take in pregnancy and labour , is that the only way it works is WITH the body. Working with the knowledge each person possesses, it reminds mothers and babes of the simple design of the body. This footling breech babe – born au natural! IF there is a reason for a breech position – like the placenta has grown in a way that is blocking a position change or the cord has become looped in a way that will be restricted with a turn, then the baby just will not move. NO remedy will override the wisdom of the body and this includes the mother’s body and the baby’s body. I also would assume that there are some babies that just know that they are meant to be born breech. Every body is unique. The remedy will make the suggestion and if it is accepted, the baby will turn within 24 hours. Interestingly mothers rarely seem to feel the turn, even if this is happening late in the pregnancy. This provides me with additional evidence that the simplicity of the body just feels normal – nothing invasive is happening, no real effort is made – it is simply a suggestion that is being carried out by the baby. The remedy for a breech position is Pulsatilla 200C. Take two pellets, that is all you need. Pulsatilla mothers often are in an emotional state in which they are having difficulty landing on a solid plan for their birth, they may be debating home or hospital, frequently have people attending the birth they do not particularly want present and are focused on how to make everyone around them happy. They may even feel unsure about their ability to give birth and feel unprepared to make that commitment. The indecisiveness is reflected in the baby – the baby moves into many positions or lands in a breech position, which in turn takes the decision making process away from the mother and into the hands of a surgeon. Taking Pulsatilla will strengthen the mother’s ability to be steady in her choices and ultimately reassure the baby that she is by his side as they have a birth experience together. Lastly, you do not have to worry that taking Pulsatilla and turning the baby will induce labour. Again this is a situation in which homeopathy CANNOT override your body and you will only go into labour if the time is right for everyone. If you have specific questions about Pulsatilla or using homeopathy in your pregnancy please visit my website – http://www.pipermartin.com. Why would a newborn need such a remedy? “high risk pregnancy” – this language informs the baby and the family that there is a risk to the life of the baby and that the potential for danger exists. There are usually more ultrasounds, more tests and more fearful appointments. These things promote the feeling of fear and anticipation of the birth and what might be wrong. The baby is aware of all of this. threats during pregnancy – the mother may be under physical or emotional stress such as abuse, poor living conditions, shame, fear of survival, uncertain care for the birth or post traumatic stress. during birth babies are reactive and aware of what is happening, heart tones are indicators of the emotional state of the baby and mothers that are frightened have frightened babies. Unfortunately the remedy for this is rarely to help the mother center herself and breathe, it is usually to inform her that the baby is not doing well! we need to do something! The increase in fear usually impacts the baby in a negative sense and the whole experience of fear takes on more momentum. 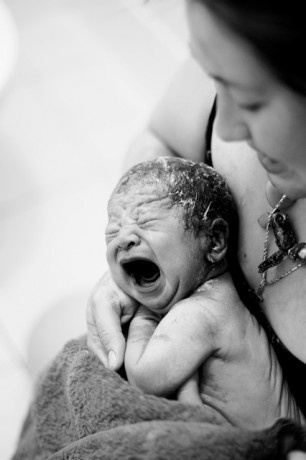 physical trauma during birth such as forceps, vacuum extraction, cesarean birth, deep suction or resuscitation can all create fear in a newborn. Usually no one is explaining anything to them about the sensations they are experiencing and it doesn’t take much imagination to understand how this might be viewed as painful, abrupt and frightening. separating a baby from his/her parents is a huge factor and one that is minimized in regular hospital care. The presence of a familiar voice, touch and energy of a parent has a large impact on the feeling of safety and security for a baby. If the baby is able to be relaxed and focus on their intuitive cues all systems work better – nursing, digestion, sleep! Introducing stress and separation in those first hours of life is extremely disruptive to many factors while making the transition to the outer world. Fortunately for all of these situations Aconite 1M can close the gap. The combination of honest, emotional conversation with your baby and giving them Aconite 1M will resolve these fears, keep them firmly in the past and assist everyone is moving forward. For specific information on how to use Aconite for yourself and your baby please visit my website – http://www.pipermartin.com and treat yourself to a consult. I wonder why the process of getting teeth is easy for some babies and really challenging for others. Some children just wake up with a new tooth! Pulsatilla children need an abundance of comfort, reassurance and snuggles. Anytime they are uncomfortable they need to be held, carried and sleep next to their mothers. They may have moments of play and good moods but then will slip back into weepy and whining. capricious – ask for a drink and then hurl it across the room, ask to be picked up but the adult MUST walk, bounce or jiggle them exactly as they want to be held. This is a baby that has a slow pace for teeth, and bones. They are slow to crawl, walk or get teeth. They like to observe and take their time with the next step. When they are teething they will appear to be taking months to push a tooth through the gums. head sweaters – their head is often sweaty while nursing or sleeping. they are not as weepy as the other remedies but their sleep will be greatly disturbed and they will need to nurse very often during the night. can get Belladonna fevers while teething – dry heat, radiating out from head, flushed with glazed eyes. If none of these remedy descriptions fit your child then don’t despair – there are many more! Please contact me for online consultations regarding the best match for your baby. Babies have never eaten, breathed, been in outer world environments. Think about the stimulation involved in just your average home – TV, music, cooking, dishwasher, dog barking, kids screaming, people talking, lights, smells, temperature changes etc. etc. Now imagine a person with no filters or information to screen out this stimulation. Babies usually manage this one of two ways – by crying or sleeping. a difficult birth that has resulted in some mechanical aspects being misaligned such as the spine, skull and the jaw. Chiropractic care is an excellent support in this matter. an overly stimulating environment – this is something to really consider especially with a premature baby. It is important to give the baby time to calm and feel peaceful before nursing or feeding. It is then important to hold a steady, calm tone in the room while the baby is eating. Giving them time to breath and focus, encouraging them and protecting them from distraction. After they have nursed it is again important not to rush, immediately plunge back into a task or environment. formula that is not being digested properly – unfortunately this is often the case for newborns and if you are not able to nurse then you will have to source out a formula that works for your baby’s body. The best results I have seen are with homemade formulas – they are far superior to any commercially produced product and easy to make. Nux vomica 200C – this is one of the most sensitive remedy states for babies. Their mothers are usually incredibly busy and efficient people, working right up until their due date and craving an intense pace of life. However, they have babies that cannot tolerate even leaving their bedroom without having a colic attack. These babies overreact to light, noise and touch. They start crying and cannot stop. They are babies with a very small window of tolerance so if the conditions are not to their liking they have a big reaction very quickly. What they want is quiet, slow, gentle touch, lots of space – they prefer to sleep in their own beds and a minimum of people interacting with them. Mag Phos 200C – Mag Phos is specifically sensitive to arguments and discord in the home. If there is a lot of tension between family members or if there has been a blow up, then the Mag Phos baby will get a stomach ache. Since there are as many receptors for emotion in the gut as there are in the brain, this makes perfect sense. Babies have emotion and respond to the feeling in their environment. Mag Phos is a chilly remedy and cold can trigger their pain, they respond well to the colic hold – applying light pressure on the abdomen – carrying the baby over one arm. They will also relax with heat, so warm baths, warm wrapping and warm rooms will help. Lycopodium 200C – Lycopodium is a liver remedy, babies that need this have bloated, full, tight abdomens. They are typically hit with pain between 4-8pm. They are voracious nursers and often have the hiccups. Once they are burped they improve but they do tend to cry often, waking up from sleep is difficult for them and involves a lot of tears. Lycopodium babies are not smiley, they do not want to be held by anyone but their mothers and they are irritable. Colocynthis 200C – this remedy is for babies that draw up their legs in an attempt to bend double. They scream in excruciating pain and like Mag Phos they are better from pressure and warmth. If Mag Phos does not alleviate the pain try Colocynthis. Chamomilla 200C – Chamomilla is one of the remedies most reactive and sensitive to pain in the materia medica. They are aggravated after nursing and wake every hour throughout the night with pain. The only thing that seems to relieve them is driving in the car or being constantly carried and bounced. Nothing brings relief for very long, they are shriekers and will scream, get overheated and start reacting to everything including touch or any comfort the parents try to offer.